For the final day of No Bake Chocolate Dishes, yes I know the theme is supposed to be No Bake Desserts, I ended up cooking only with chocolates, else I won’t be finding customers to eat all that I make. With the adventure I have had over the last few days, making all the No Bake dishes and Nutella dishes, you can imagine how excited my kids will be. 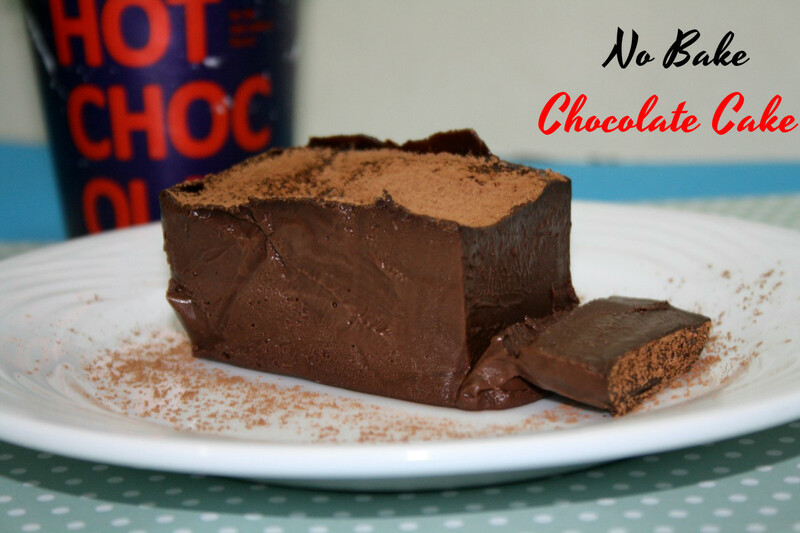 This No Bake Chocolate Cake was inspired by this and I couldn’t wait to make it. Infact boys couldn’t restrain themselves and touched it couple of times before it could even set. Finally both didn’t owe up who the culprit was. Anyway I know it was both. 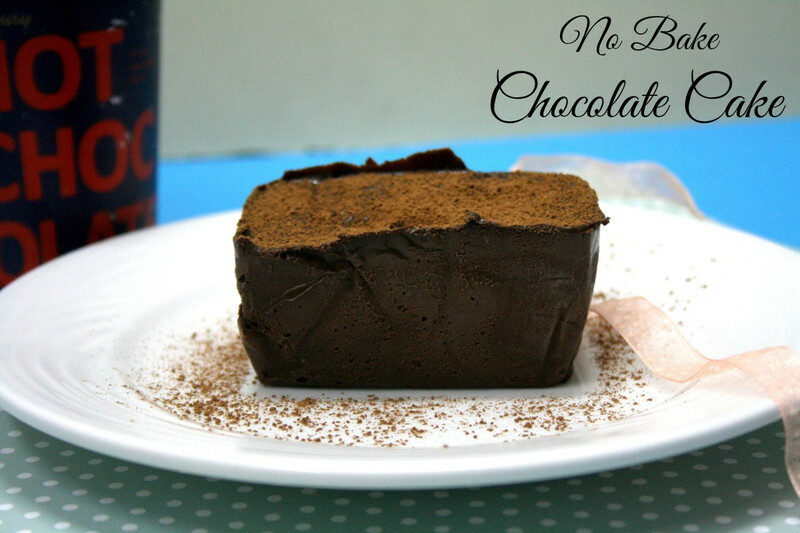 When the final pictures was clicked and given for tasting, they were going ahh and ooh..this surely is the ultimate chocolate bliss!. I am not sure how this can be called a cake, well as I say who bothers what a dish is called, when there is nothing left to even ponder! I hope you all enjoyed as much I as did cooking and feeding my chocaholic kids! Grease a mini loaf pan with butter and line it with parchment paper and set aside. MW the chocolate for 30 secs in two spurts. Whisk well. In a separate medium pan heat the cream over gentle heat. Stir in the allspice and the espresso, if using. When the cream is very warm / hot to the touch, remove from heat. Pour the chocolate into the cream. Combine everything together. Pour into the prepared pan, cover with plastic wrap and refrigerate until chilled throughout, a few hours, or overnight. When ready to serve, remove from the pan, let set at room temperature for ten minutes or so, dust with a bit of cocoa powder, and slice. Alternately, you can slice and serve from the pan. OMG, what a rich and decadent no-bake cake that is. Looks absolutely sinful and delicious. 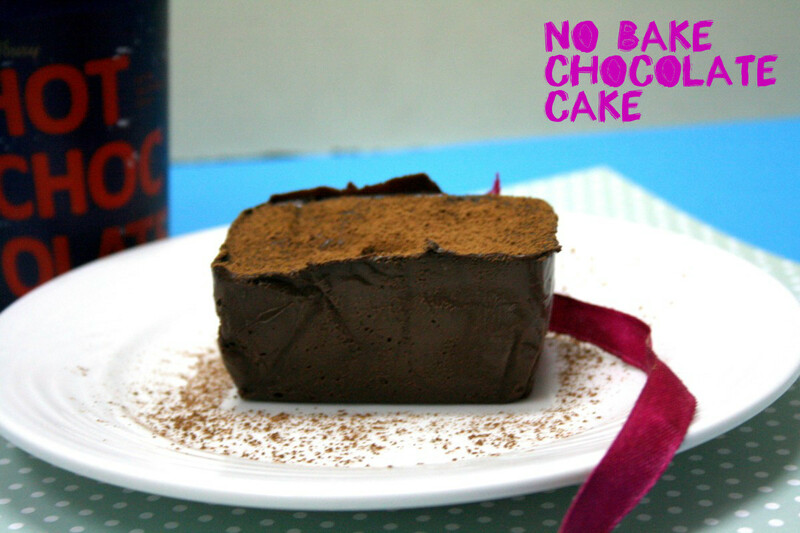 Omg , chocolate cake without baking and looks so sinful.Drooling here.. Very sinful and delicious, Valli. I am looking at this after a full dinner but I still want to eat this right now! Totally drooling here.